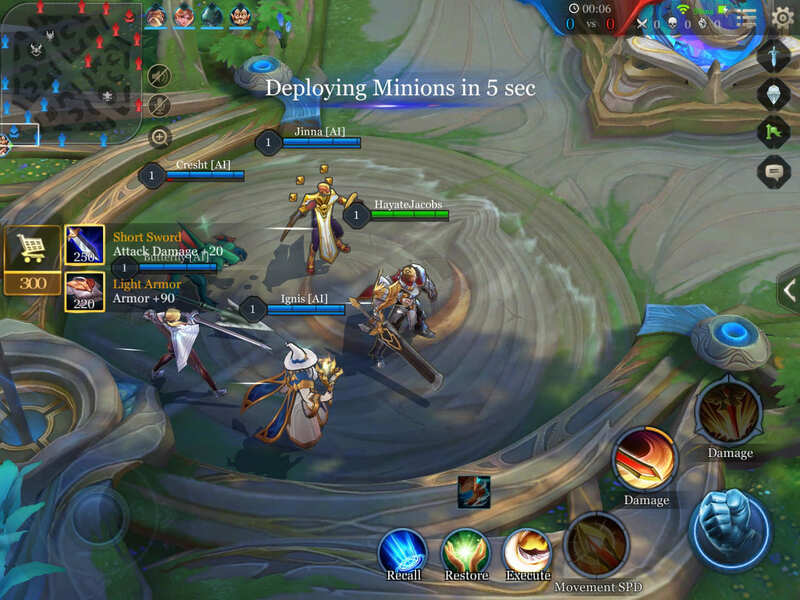 Understanding and making good use of the mini-map in Arena of Valor (AoV) is of utmost importance; we show you how to best utilize this invaluable tool. Learning the mini-map can allow a player to predict enemy movements. A player who learns how to read it quickly will always know where the best places to move, attack, or defend are during a game. In Arena of Valor, keeping track of the map is critical to success. Just from looking at it, a person can learn where their minions are pushing, where their allies are, the status of jungle monsters, the status and the number of all remaining towers, and the location of any enemies visible to your allies. Beside the map one can also see the health or respawn timers of their allies. Players can also see the respawn timers of enemies, should they be down at the time. This information can assist in knowing when’s a good time to attack and when you should regroup or retreat. Minions play a large roll in an area being safe or not. Despite their small appearance and unimpressive stats, it is easy to be overwhelmed by the creatures, so attacking past one’s own lines is not normally recommended. Their presence in a fight tips the balance in the favor of whichever team they are part of. Here are the little guys, fighting in the vain hope of being noticed. Furthermore, as with other MOBA games, having the opponent’s minions pushing their towers puts players in a rather bad position. It is best to avoid letting this situation happen as much as possible and to deal with it quickly whenever it does happen. It’s important for a player to always keep track of where allies are. This information can help a player know who needs assistance, which areas of the maps are in the most danger, and what allies are currently planning on doing. Be careful not to regularly wander too far off from where your allies are after the laning phase ends. The further away you get, the harder it will be for anyone to come help should an enemy attack. Upon learning to read the map well, enemy movements and placement will start to become more predictable. Knowing everyone’s location can be a big help in pulling allies out of trouble as well as in racking up kills and assists. In this example, we found a small lull in combat due to scoring a kill against our opponent. One way to take advantage of such breaks is to move into one of the other lanes to help relieve some pressure from their opponents or even help kill one. With a look to the mini-map we can get a sense of what’s happening in the other lanes. Here we can see that an enemy has crossed into allied territory, possibly in pursuit of a kill or in an attempt to gank. Two of the icons are close to overlapping, implying their combat with one another. Depending on the ally’s health (visible next to the mini-map under their character portrait) they might be in need of our help. Looking closely, however, we can see that the red player is attacking behind our team’s minions. Furthermore, they are separated from their teammate by another ally. Coming to help could or could not be necessary. Here our allies have been having a much tougher time. The enemies pushed right up against our team’s tower. Furthermore, both of our allies are nearly overlapping above the tower. This arrangement shows the tower being used for cover, despite outnumbering the enemy. This retreat further shows that they are struggling. However, the enemy being so close to our tower opens him up to be attacked from behind. An attack could be a better way to spend this lull in mid lane than farming. While a lot of information, these judgments can be made fairly quickly when used to them. Furthermore, these tactics can be key in gaining an early lead. The monsters in the jungle are valuable due to the gold and experience they grant on their defeat. The dragon is especially so, granting gold and experience to the entire team upon its defeat. Thereby, it is best to try and kill the dragon whenever possible, not only to gain this gold and experience, but to deny it from enemies as well. Times when the enemy is far away or their attention is focused on something else make the best times to attack. Similarly, if one sees the enemy attempting to slay the dragon, it is best to contest the action to the best of their ability. Should the dragon be alive, its mark on the mini-map will be yellow. If the dragon has recently been slain, however, the mark will turn grey. Furthermore, a counter appears when the dragon is within one minute of spawning. Its spawn is announced with a flash on the map when the counter reaches zero. The Dark Slayer and Spirit Sentinel are also marked with similar marks and timers. 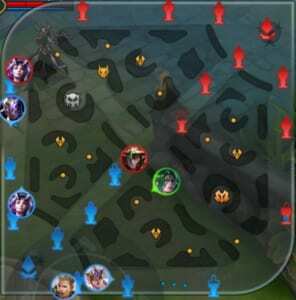 Using the minimap, one can see the location of all remaining towers as well as about how much health each has remaining. 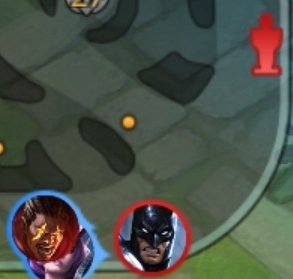 A player can get into trouble should they let an enemy get in between them and their tower when weak. In contrast, however, this information can also be used to pin enemies against allied towers when attempting a surprise attack. The best way to avoid combat here would be to slip through the jungle, however if I’m confident I can try coming from behind my enemy to eliminate escape. 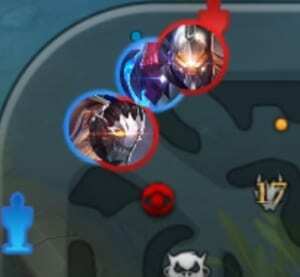 Tower icons are unique in that they also show the tower’s health. Each tower’s icon will slowly drain of color as it takes damage, disappearing once defeated. Knowing the location of your enemies is arguably the most important information one can have during a match. The knowledge prevents a player from having to eat any surprise attacks the opposing team might attempt. In addition, what would be risky moves become much easier once enemy location is known, undefended areas of their territory becoming visible as they are abandoned. 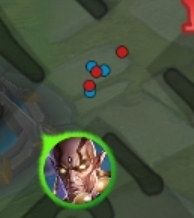 Perhaps mention that your avatar becomes visible on the mini map when within range of minions and enemies (including hidden enemies)?